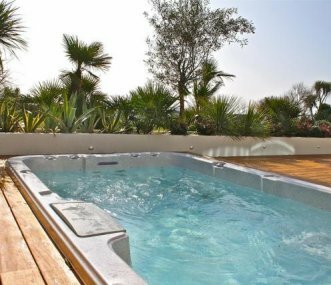 Choose from an impressive range of large holiday homes in the South East and Hampshire here on Group Accommodation, the perfect choice for large family getaways and group holidays. We have group accommodation in Surrey, Sussex, Berkshire, Buckinghamshire, Kent, Hampshire and the Isle of Wight covering the whole of the South East. From big holiday cottages in Surrey and self-catering farmhouses in Sussex to camping barns in Berkshire and group holiday accommodation in Hampshire and the Isle of Wight find the perfect place to stay in the South East for groups of 10+. In the South East you can enjoy days out at family theme parks such as Thorpe Park and Chessington World of Adventure; explore historic buildings such as Leeds Castle; see the famous White Cliffs of Dover; take in the scenery of the New Forest; explore historic cities such as Canterbury and Chichester; and enjoy days on the beach in Brighton or the Isle of Wight. This Kent holiday cottage is a wing in part of a beautiful Manor house set in a very peaceful position in beautiful undulating countryside within a short distance from Dover and the Kent coast. 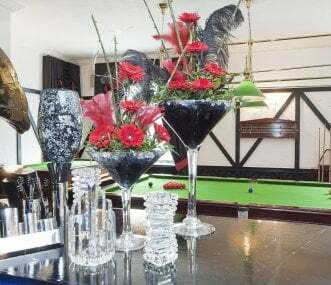 Ideally located in the picturesque town of Ongar, our converted 18th century coaching inn "is the only way" to experience Essex in comfort and style with the added benefit of enjoying your own pub. Beautiful large Canadian cedar log home with southwest views over lovely Kentish valley. Sleeps 15 in 6 spacious bedrooms. Relaxing, welcoming, joyful venue with many groups coming back for more. 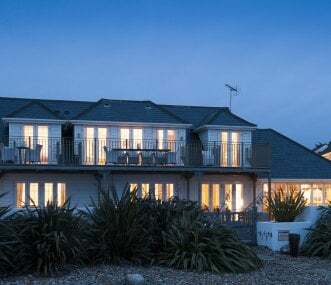 When you dream of holiday cottages in the South East, you might imagine Isle of Wight coastal holiday cottages with spectacular sea views; self-catering farmhouses in rural Kent; holiday town houses in Brighton or Cowes; or farmhouse accommodation in the Chiltern Hills. Group Accommodation works hard to make these holiday dreams come true, and as a specialist group holiday company we bring you the very best big holiday homes for groups of 10 or more. With such a wide choice of attractions and a superb range of large holiday rentals in the South East, it's not easy to decide which area to stay in. If you rent a large holiday home in Hampshire you can take the family to Peppa Pig World at Paultons Theme Park; discover Portsmouth's maritime history; visit the D-day Museum and Charles Dickens Birthplace Museum; go to the shops, the theatre or the Southampton Maritime Museum in Southampton; explore the New Forest and Beaulieu National Motor Museum; or catch a ferry to the Isle of Wight. Isle of Wight holiday cottages give you easy access to explore the whole island. Visit Mont Orgueil Castle and Jersey Museum; watch the sun set behind La Corbiﾏre Lighthouse; discover the WWII Jersey War Tunnels; have a day out at Living Legend Attractions; or take a tour of the famous gardens at Samarﾏs Manor. 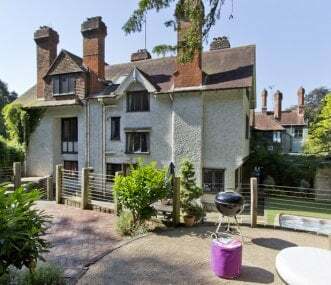 Stay in a large holiday cottage in Surrey and you can enjoy days out at Thorpe Park theme park or Chessington World of Adventures, and visit historic Polesden Lacey. 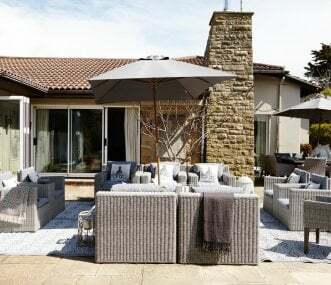 Families renting a big holiday home in Berkshire will be close to Legoland Windsor; Newbury Racecourse; the North Wessex Downs Area of Outstanding Natural Beauty; famous Windsor castle; and green open spaces at Windsor Great Park. In Buckinghamshire, visit Gulliver's Land theme park; enjoy a day out at impressive Waddesdon Manor; or visit the famous Bletchley Park WWII code-breaking museum. Holiday cottages in Kent give you easy access to fairytale Leeds Castle; the White Cliffs of Dover; Diggerland theme park; Canterbury Cathedral; and Kent's key towns such as Maidstone, Ashford, Tonbridge, Royal Tunbridge Wells and Sevenoaks. 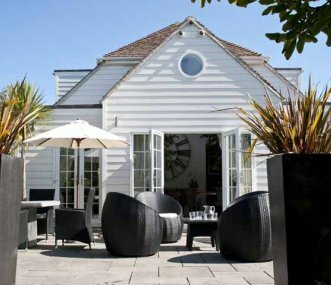 And, finally, with holiday cottages in Sussex you have easy access to the seaside in Brighton, Eastbourne or Hastings, and you can explore the stylish city of Chichester; see the horses and motor racing at Goodwood; visit Herstmonceux and Arundel Castles; or explore the stunning countryside of the South Downs. We make the decision-making process easier by providing detailed property descriptions and rich images for every holiday home in the South East and Hampshire, as well as a list of activities available in the local area. Our large holiday cottages in the South East are scattered across the whole of the region so it's easy to find large holiday properties in Surrey, Sussex, Berkshire, Buckinghamshire, Kent, Oxfordshire, Hampshire and the Isle of Wight. Use our map functionality to quickly narrow down your regional search to the specific part of the South East that appeals to you most. Our hand-picked range of group accommodation is unrivalled, so you can be confident that we have a large holiday home to suit your group's needs _whether you are looking for a couple of large cottages to rent together or one large country house so that you can all stay under one roof. 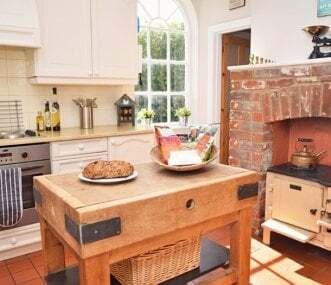 Our impressive portfolio includes large holiday cottages in the South East, as well as many other types of accommodation such as rural farmhouses, luxury barns, big bunkbarns, and spacious manor houses. Make your search for group accommodation easier by using our easy-to-use website _ bringing together the best big holiday homes in the South East of England for you to choose from. You can browse all of the properties in the South East in our Regional Search; pick out specific holiday homes by area on our Map of the region; or use our Main Search to narrow down your results by several criteria such as location, property type and how many the holiday cottage sleeps.